Nigerian music super star and his girlfriend,Chioma paid former Vice President and PDP presidential aspirant,Atiku Abubakar, a visit . Davido who is in Abuja with Chioma shared the photo on Instagram writing ‘Thank you for having us sir”. Davido was at the forefront of his uncle Senator Adeleke’s campaign to be governor of Osun state. However, he lost under controversial circumstances. 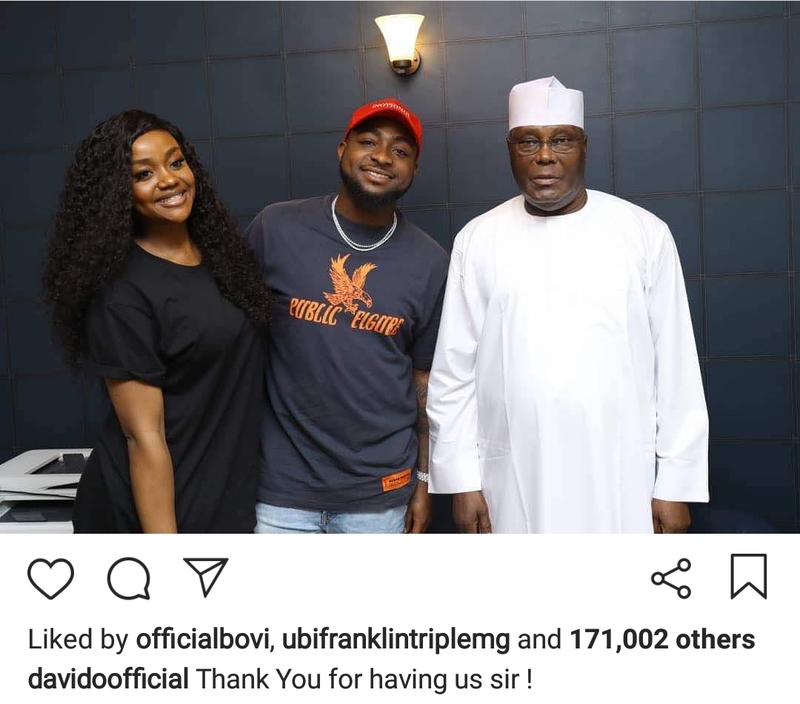 The post Davido and girlfriend,Chioma visit Atiku appeared first on Miss Petite Nigeria Blog.